A full cast list for '2001', Part 5: "The Discovery Channel"
Welcome to Part 5 of our extended look at all the actors that starred in '2001'. As the title suggest, today we'll focus on the actors appeared in the scenes in which Bowman and Poole watch T.V. footage on portable or fixed screens aboard Discovery. 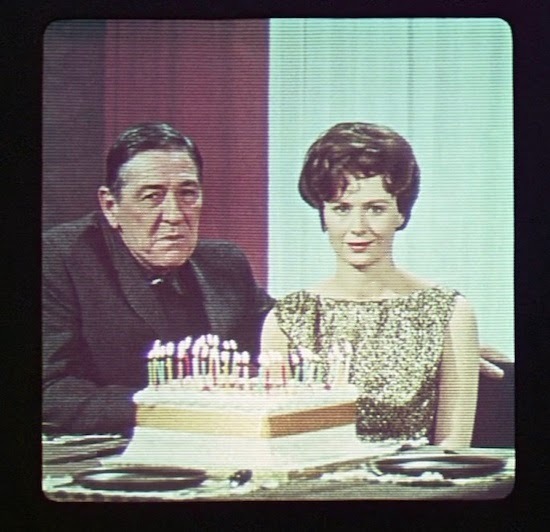 The host of The World Tonight, the BBC-12 TV show Bowman and Poole watch while eating (the character name is reported in the continuity reports as Mr.Holland) was played by Kenneth Kendall, a real BBC newsreader. 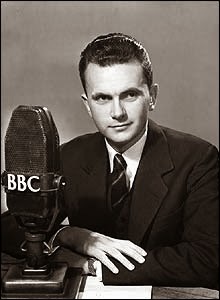 Kendall began as a radio announcer in 1948 before moving to TV in 1954, and made history on September 4, 1955, by becoming the first BBC newsreader to appear on TV. He left BBC in 1981 and became well known again for hosting Channel 4's Treasure Hunt. His role in 2001 (obviously a 'cameo' role for the british audience, who surely must have found odd that a presenter who debuted on national TV in 1955 would look almost unchanged in 2001!) 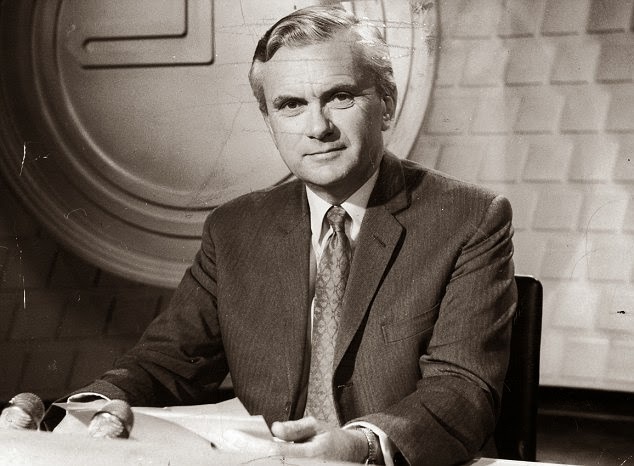 was not his only sci-fi appearance in those years: he played a TV presenter also in a couple of Doctor Who episodes in 1966 and in the movie They Came From Beyond Space (1967). A nice interview with the late Kendall, who passed away in 2012, can be read here (no 2001-related content, though it is stated that he was "enormously proud" of having appeared in it). Ah, Martin Amer, one of my favourite obsessions. He is the reporter of BBC-12's The World Tonight and the name of the actor who portraits him never appeared in the 'official cast lists'. Nothing is known about him, no interviews, no details - nothing! Considering that he utters a not insignificant number of words, in a movie famous to be very short of it, it always seemed odd. The 'official cast lists' reported that the name of the actor was the same Martin Amer, though the obvious cameo nature of the role made this look suspicious - according to IMDB and Bfi.co.uk, 'Martin Amer' he only played that role in his entire carrier. He sounded and looked like a professional actor, to me. At last, in my January visit to the Kubrick Archive I was able to read the continuity sheets regarding those scenes. Along with the names of Kendall, Poole and Bowman, right besides the transcription of the lines spoken by Amer (by the way, this is the correct spelling, not Amor! ), it appears the name of the actor: Mike Lovell. Now, this seems legit, as a Mike Lovell DID appear in the 'official cast lists', but he was referred to as an 'astronaut'. This is a double confirmation and I'm locking this name, as far as I'm concerned. Unfortunately, Mike Lovell's appearance in 2001 seems to be his only foray in the world of movie-making, so we're somehow back where to square one; well, at least we know his real name. Kubrick tested dozens of military ground-control landing officers, hiring — over strenuous British Actors Equity objection — Chief Warrant Officer Franklin W. Miller, U.S. Air Force traffic controller stationed in England. Actors did not sound like the familiar mission control voice. 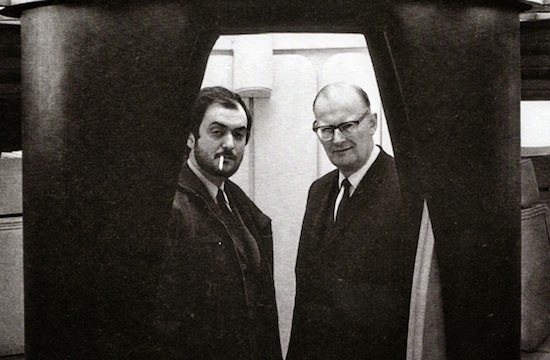 Miller remembers working with Kubrick: "He saw that every little detail of personal comfort was at my disposal. I had aspirins if I had a headache, and even lotion when lights offered too much glare. Nothing seemed to be too much trouble. He always put me at my ease. Without realizing it, I once was tapping my foot — a nervous habit — which no one could see beneath the console where I was sitting, but it produced quite a thump on the tape. Instead of asking me to stop tapping, Kubrick got me a blanket, put it under my feet, and I tapped all I wanted to." Miller was transferred to Bangkok after his "perfectly marvelous experience." ... I really don't think IMDB got it right with their claim that a forty-something officer could suddenly turn into an award winning musical actor! (Well, as long as someone comes up with pictures of the musical, that's my official position on the issue). Alan Gifford, who played the unnamed father of Frank Poole, was an american character actor born in 1911 in Taunton, Massachusetts. Despite having been a long-time resident in Britain, he never lost is american accent, featuring in many roles where since his movie debut in 1950 he mostly played military men and other various officials. He passed away in Scotland in 1989. 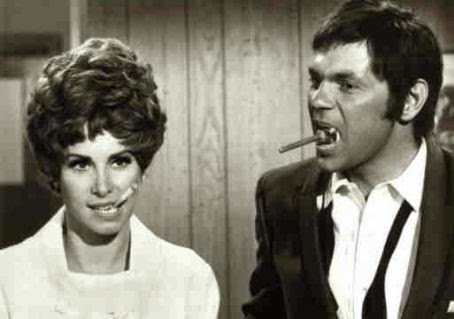 Ann Gillis, who played Poole's mother, was born in 1927, in Little Rock, Arkansas. A child and teen star in the Thirties & Forties, she was Bambi's wife and mother's voice in the Disney classic. Gillis retired very early from cinema, in 1947, and then moved to London, where she did some TV appearances. Mrs. Gillis gave a significant interview to Rusty White in the very year 2001. In this rather amusing snippet we learn how she got the role in 2001 and how she got along with Kubrick (hint: not very well). RW: You came out of retirement after 20 years and did a bit part in "2001: A Space Odyssey." 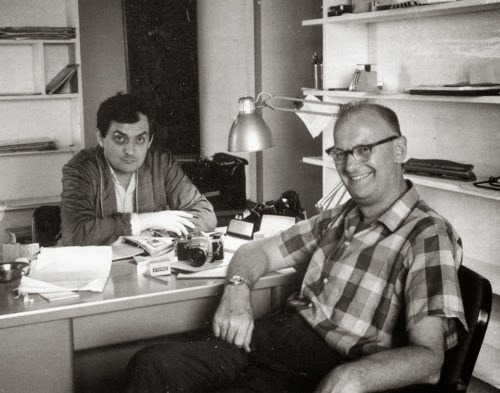 How did that come about and what was it like to work for Kubrick?" AG: There was a casting call for American actress in London. I was living there with my husband at the time, so I said why not. RW: You played one of the astronauts parents during the interstellar phone call scene, correct? AG: Yes. Well, Kubrick was a real jerk. It shows you what can happen when a director is given a blank check. He hired two sets of "parents." I was the back up actress. The part wasn't scripted, so he told the two actors to go write their part over lunch and come back. They did. The actress playing the part read the lines she wrote. Kubrick fired her and said "I like the 'other one' better. RW: The 'other one' being you? AG: The 'other one' being me. That's how I was referred to. Well, we took the lines and started rehearsing and then filming. It was difficult because we were sitting side by side and saying lines to which no one was responding. Also, my conversation and the other actor's conversation were not related. We were saying all these disjointed lines and Kubrick keeps changing them. Then the other actor joins in by saying he had an idea for some dialogue. Kubrick lets him run with it. I was thinking, "Keep your ideas to yourself." We did 21 takes. 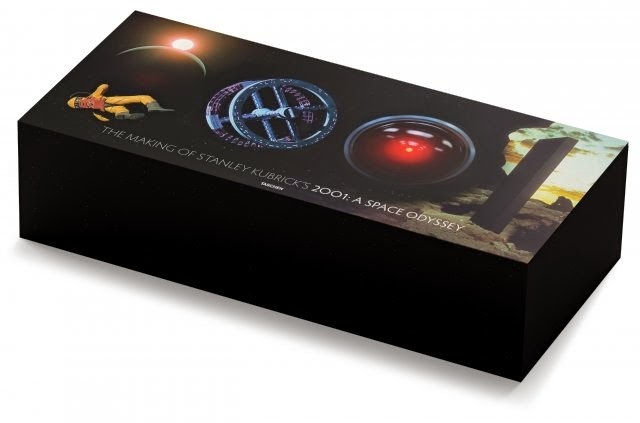 Kubrick prints them all. In the old days a director never printed every take. Kubrick prints all 21 takes for this one little scene which lasts just a few seconds. He was set to keep going and I said, "You've got enough, I quit." I left. 21 takes, ridiculous. 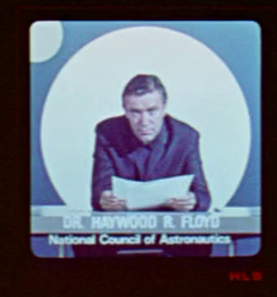 Let's go back to William Sylvester and focus to the pre-recorded message played right after Hal’s death (where the name of Floyd is spelled “Haywood” instead of Heywood). 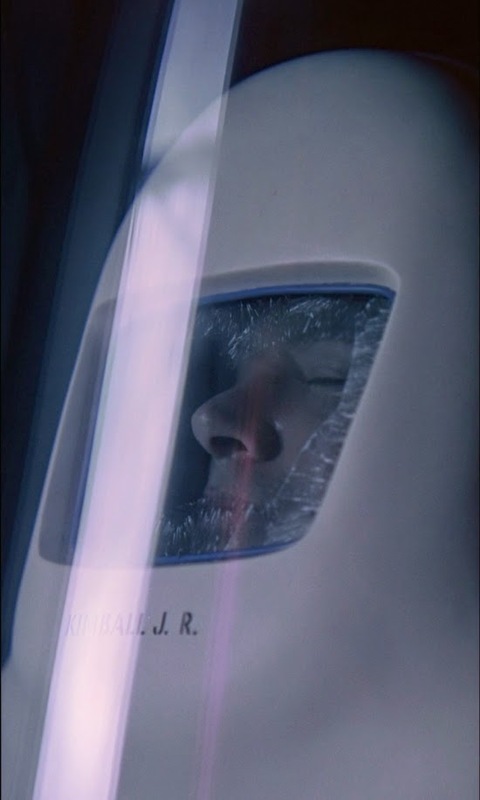 This, and William Sylvester’s slightly different hair style, is a sign of re-shoot that took place later in the summer (July 4): all the Sylvester scenes aboard the shuttles, the space station and the Moon had been already completed by January. 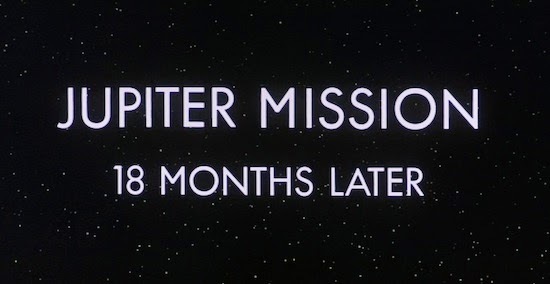 Now that Hal was dismissed, the audience (and Bowman) needed to know, at last, was the true purpose of the mission was, in order to set up the final part of the movie. 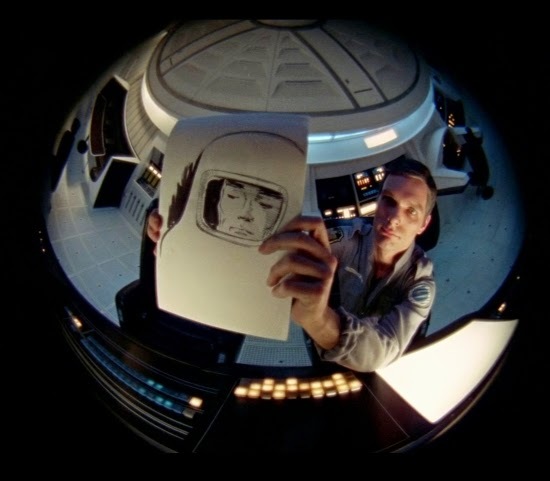 In early script versions this was meant to be revealed by other characters from Mission Control in a more elaborate message played to Bowman in the centrifuge after Hal's demise. 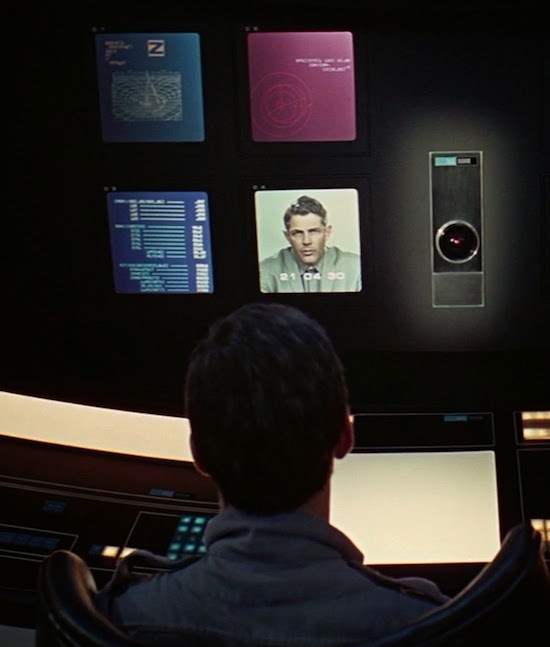 The scene remains, in a similar form, in Arthur C. Clarke's novel; here Floyd is joined by a Dr. Simonson (a character that had to feature in the movie as well but was later cancelled) that explains to Bowman the reasons behind Hal's murderous behavior: Hal was 'created innocent', and had a reaction very similar to a human 'nervous breakdown' because of the lie he lived in, having to conceal the true purpose of Discovery's mission to Jupiter. 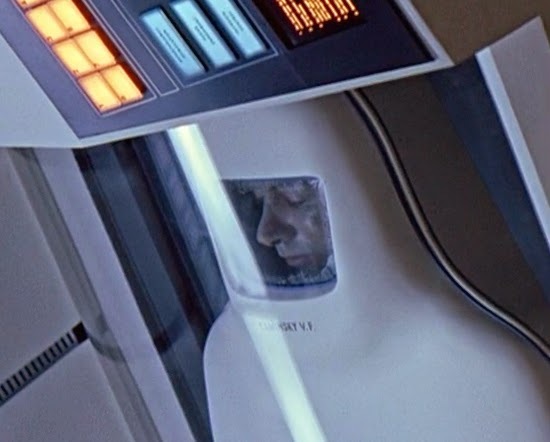 Kubrick decided otherwise, possibly to speed up the pace of the movie, and maybe also in order to not waste the emotional pathos of the confrontation between Hal and Bowman. This shorter version, in fact, surely contributed to the relative obscurity of the plot in the final edit. 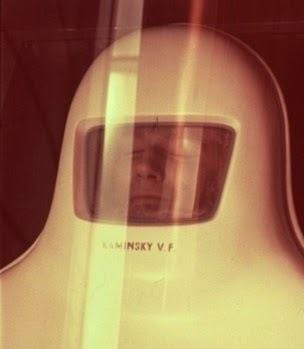 Quando incontrai Stanley Kubrick per la prima volta, al Trader Vic's, il 22 Aprile 1964, lui aveva già assorbito un'immensa quantità di scienza e di fantascienza, ed stava pericolosamente cominciando a credere ai dischi volanti; credo di essere arrivato appena in tempo per averlo salvato da questa triste fine. Sin dall'inizio aveva un'idea molto precisa di quale fosse il suo scopo finale, e stava cercando il miglior modo di avvicinarsi all'argomento. [Kubrick] voleva fare un film sulla relazione dell'Uomo con l'Universo, qualcosa che non era mai stato tentato, tanto meno realizzato, nella storia del cinema. Ovviamente c'erano già stati innumerevoli film "spaziali", per lo più robaccia. Anche i pochi che erano stati fatti con un certo talento e cura erano stati piuttosto semplificati, preoccupati più dell'eccitazione che il volo spaziale provocava nei ragazzini piuttosto che delle sue profonde implicazioni nella società, nella filosofia e nella religione. "Parlammo per otto ore senza sosta di fantascienza, Il Dottor Stranamore, i dischi volanti, la politica, il programma spaziale, il senatore Goldwater - e ovviamente, il nostro futuro film." 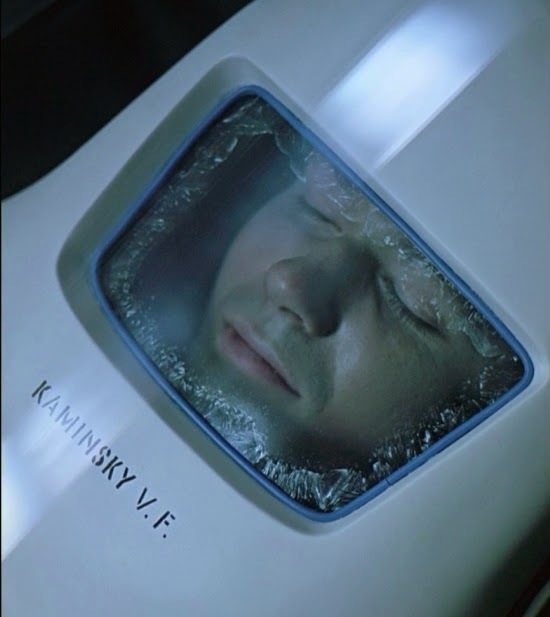 When I met Stanley Kubrick for the first time, in Trader Vic's on April 22, 1964, he had already absorbed an immense amount of science fact and science fiction, and was in some danger of believing in flying saucers; I felt I had arrived just in time to save him from this gruesome fate. Even from the beginning, he had a very clear idea of his ultimate goal, and was searching for the best way to approach it. He wanted to make a movie about Man's relation to the universe, something which had never been attempted, still less achieved, in the history of motion pictures. Of course, there had been innumerable "space" movies, most of them trash. Even the few that had been made with some skill and accuracy had been rather simpleminded, concerned more with the schoolboy excitement of space flight than its profound implications to society, philosophy, and religion. My first meeting with Stanley Kubrick took place at Trader Vic's in the Plaza Hotel. The date - April 22, 1964 - coincided with the opening of the ill-starred New York World'sFair, which, might or might not be regarded as an unfavorable omen. Stanley arrived on time, and turned out to be a rather quite, average-height New Yorker (to be specific, Bronxite) with none of the idiosyncrasies one associates with major Hollywood movie directors. He had a night-person pallor, and one of our minor problems was that he functions best in the small hours of the morning, whereas I believe that no sane person is awake after 10 p.m. and no law-abiding one after midnight. He never tried with me his usual tactic of phoning at 4 a.m. to discuss an important idea. But his curtesy did non stop him from being absolutely inflexible once he had decided on some course of action. Tears, hysterics, flattery, sulks, threats of lawsuits, will not defect him one millimeter. "We talked for eight solid hours about science fiction, Dr. Strangelove, flying saucers, politics, the space program, Senator Goldwater - and, of course, the projected next movie." Welcome to Part 4 of our extended look at all the actors that starred in '2001'. This underrated actor will always be remembered as Kubrick's Mona Lisa for his puzzled stare as Dr. David Bowman, commander of the Discovery I, faces his destiny 'beyond the infinite'. 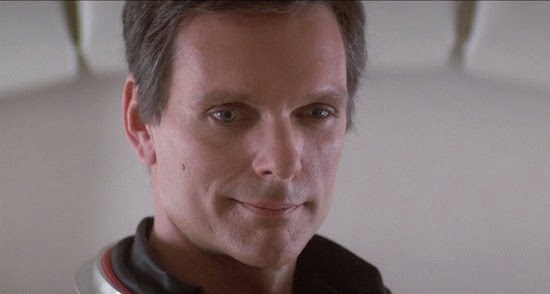 Born in Cleveland, Ohio in 1936, Dullea was launched into Hollywood stardom by his intense performance as the trubled adolescent in David and Lisa (1962), though it was Otto Preminger's Bunny Lake is missing (1965) that put him on Kubrick's radar. 2001 didn't turn Keir into an international star, but his talent granted him a long and successful career, expecially on stage, in New York City and in regional theaters. He had a major role in the 1974 cult classic Black Christmas, and he reprised his role of Dave Bowman for Peter Hyams' 2001 decent sequel, 2010 (1984). In the last 48 years Keir has given countless interviews about his role in 2001; for many others photos and infos about his long career in movies, TV and on stage, please visit keirdullea.org and keirdullea.tumblr.com, excellent resources mantained by truly dedicated fans (you can find them on Facebook's Keir Dullea Appreciation society). 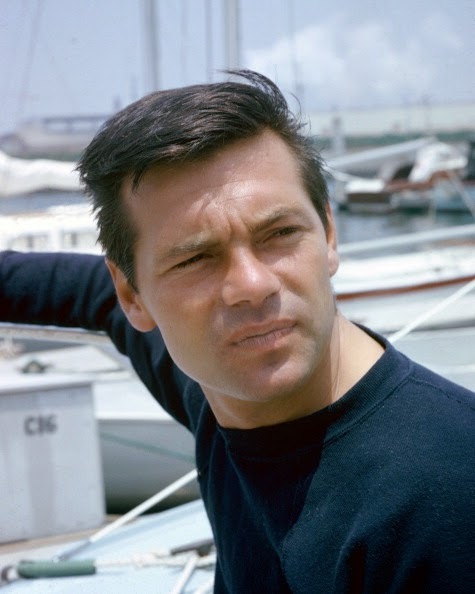 Born in Van Nuys, California in 1937, Gary Lockwood is a 'lock' (no pun intended) for the Sci-fi Hall Of Fame, as shortly before starting shooting his 2001 scenes he also starred in Star Trek's second 'pilot' "Where no man has gone before" (1965). Outspoken, athletic (he played football at the University of California), charismatic, Lockwood began his career as stand-in for Anthony Perkins and as an extra on Stanley Kubrick's Spartacus (1960). 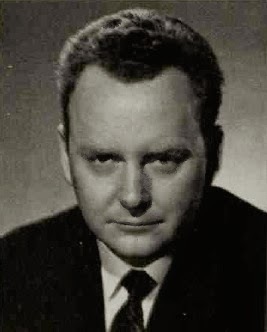 Between 1959 and 2004, he had roles in some forty theatrical and made-for-TV features and made almost eighty TV guest appearance, often as the 'tough guy'. Lockwood was a 'natural' actor - he claimed he never took an acting lesson in his life - and his role in Star Trek's pilot, more than his performance in 2001, gives us a glance of what he was capable of. Again, Gary gave many interviews about 2001, and he also self-produced a book about his career and his most famous role. 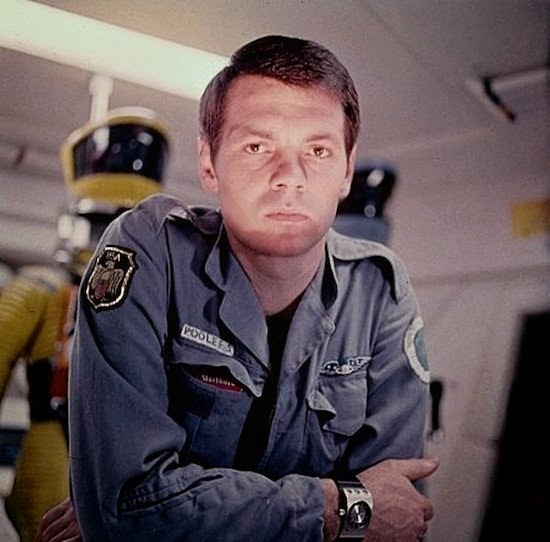 A well trained canadian Shakespearian actor who spent most of his career on the stage, Douglas Rain was intended to be the 'narrator' for 2001, as the movie was originally conceived as a spectacular, epic documentary about space exploration. 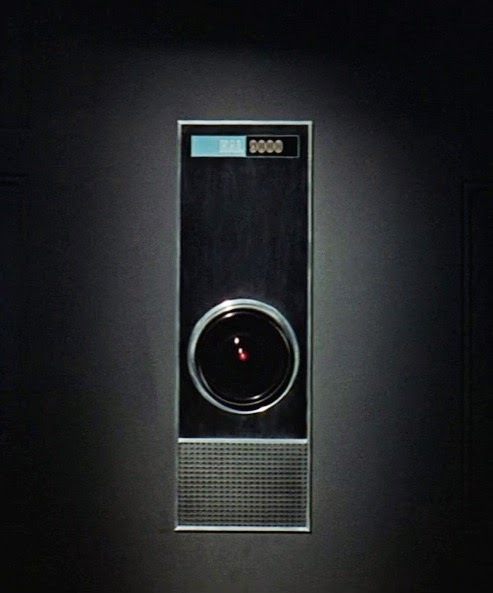 After many trial and tribulations, he turned out to 'play' the most famous fictional computer ever, HAL 9000, the third member of the Discovery I crew. Rain: "I wrapped up my work in nine and one-half hours. Kubrick is a charming man. Most courteous to work with. He was a bit secretive about the film. I never saw the finished script and I never saw a foot of the shooting." Kubrick: "Maybe next time I'll show Rain in the flesh, but it would be a nonspeaking part, which would perfectly complete the circle." "I'm not actually seen in the picture at any time, but I sure create a lot of excitement projecting my voice through that machine. And I'm getting an Academy Award winner price for doing it too." [ed.note: Balsam had already won an Oscar for best supporting actor for "A Thousand Clowns"]. Would-be HAL included Alistaire Cooke and Martin Balsam, who read for the part but was deemed too emotional. 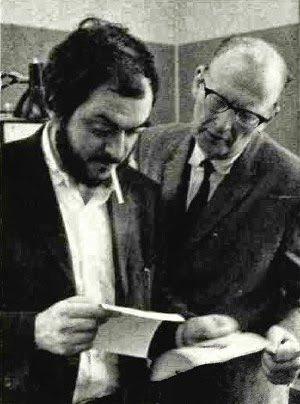 Kubrick set assistant Benn Reyes to the task of finding the right actor, and expressly not a narrator, to supply the voice. 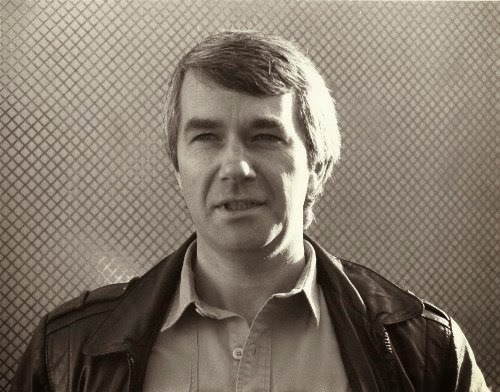 He wrote, "I would describe the quality as being sincere, intelligent, disarming, the intelligent friend next door, the Wiston Hibler / Walt Disney approach [Wiston Hibler, a prolific producer for Disney, was best known for narrating Disney films] The voice is neither patronizing, nor is it intimidating, nor is it pompous, overly dramatic, or actorish. Despite this, it is interesting. Enough said, see what you can do". Even Kubrick's lawyer, Louis Blau, was among those making suggestions, which included Richard Basehart, Jose Ferrer, Van Heflin, Walter Pigeon, and Jason Robards. In Douglas Rain, who had experience both as an actor and a narrator, Kubrick found what he was looking for: "I have found a narrator ... I think he's perfect, he's got just the right amount of the Winston Hibler, the intelligent friend next door quality, with a great deal of sincerity, and yet, I think, an arresting quality." 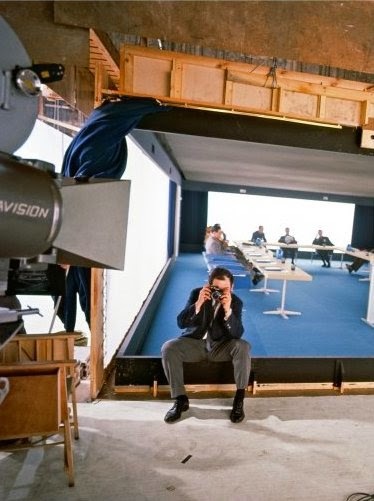 As Rain's and Balsam's performances were only recorded in post-production, someone was needed to read HAL's lines while shooting. 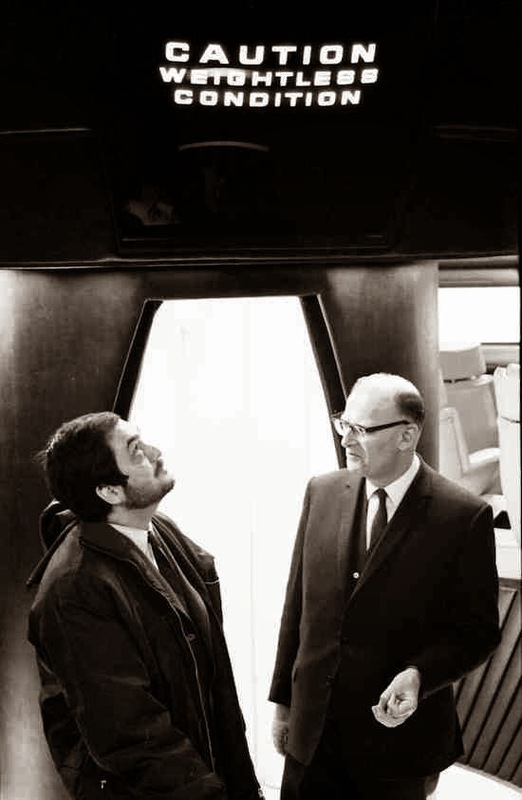 Kubrick himself and his assistant director Derek Cracknell did it - prompting Keir Dullea to recall in several interviews how Cracknell's cockney accent sounded improbable for a futuristic computer first activated in Indiana: "Better take a stress pill, Dave" came out like "Better tyke a stress pill, Dyve", à-la Michael Caine. 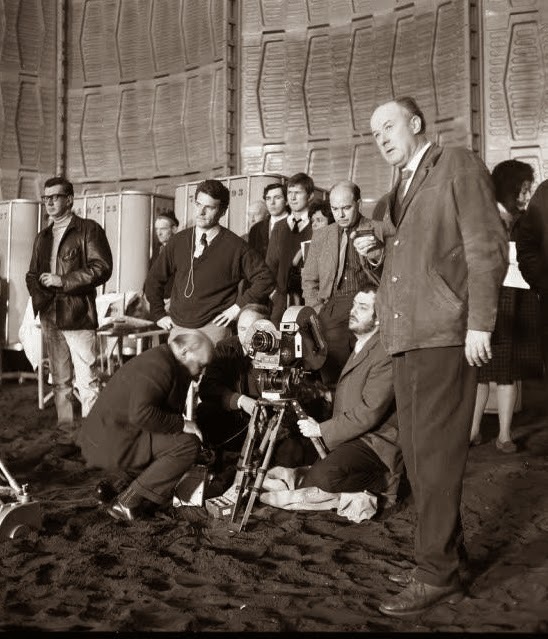 Shooting the Monolith excavation scene: second from left, standing, Derek Cracknell is the guy with the hands on his hips. 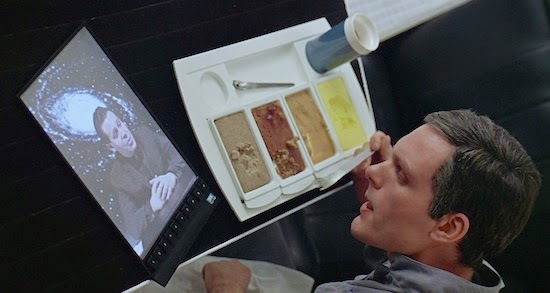 [...] Later, Kubrick told me he had engaged an English actor to read the computer's lines in the serious dramatic scene, in order to give Dullea and Lockwood something more professional to play against, and that in the finished film he would dub in an American-accented voice. 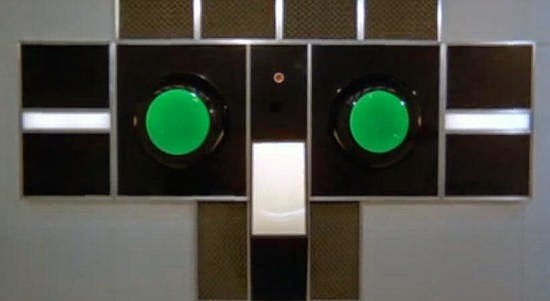 I suppose I was technically the first voice of HAL, although my tenure was brief and only during rehearsals. I was immediately replaced by Nigel Davenport, with his mellifluous, deep baritone voice. He lasted a bit longer than me, before being replaced by the androgynous voice Stanley had wanted all along but had needed to compare before committing. 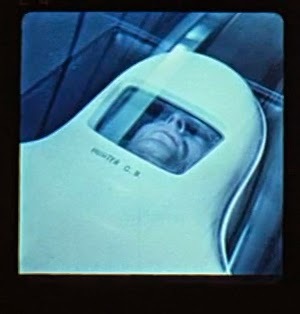 As we already know, in the early scripts the computer aboard Discovery had to have a female voice and had to be called Athena; Powers' presence at the rehearsals makes us wonder if Kubrick was still considering a female personality for the computer, even in early 1966 and very close to the actual shooting. Anyway: Powers -> (Davenport) -> Balsam -> (Kubrick, Cracknell) -> Rain. 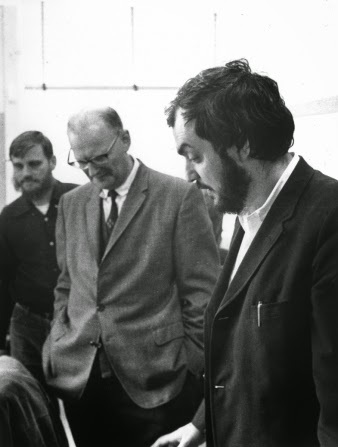 [...] Kubrick, in preparation for the film, came across a National Film Board documentary called Universe. "It was," says Rain, "a very low-budget affair with ping pong balls, and the sun, as I recall, was played by a tomato - actually, it came off as very impressive on the screen." 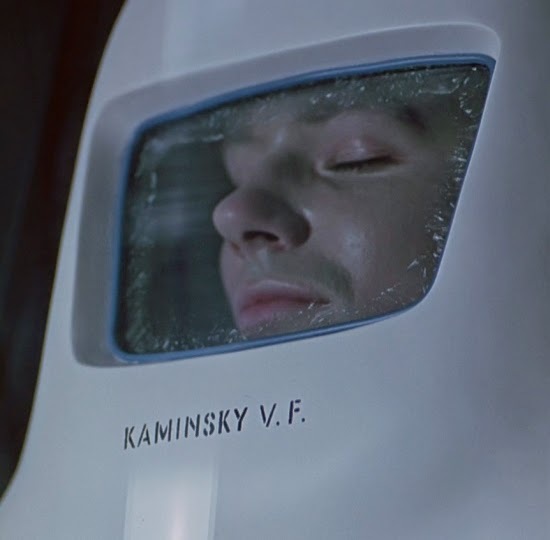 In any case, Rain did the narration for Universe; Kubrick - who, according to Rain saw the movie 95 times - got used to the sound of Rain's voice. Kubrick managed to find Rain and hire him to do the narration for 2001. 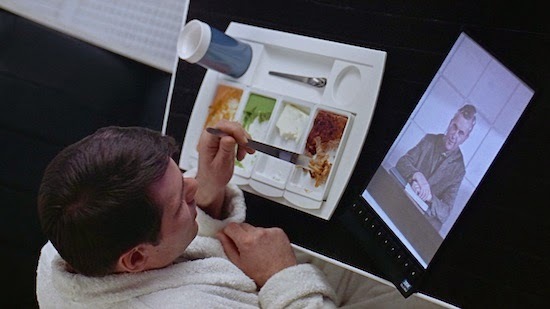 In the making, however, Kubrick decided that a narration was unnecessary, and asked Rain to do Hal the Computer. "It took a day and a half to record," says Rain. "It is not that I haven't wanted to do movies," he says, "it's just that I've never been approached. People seem to think that when you do classical things you can't do anything else. Well, that's just rubbish, of course. "Mind you," he adds, with mock-fastidiousness, "when you look at the quality of what's around, maybe it's a blessing in disguise." 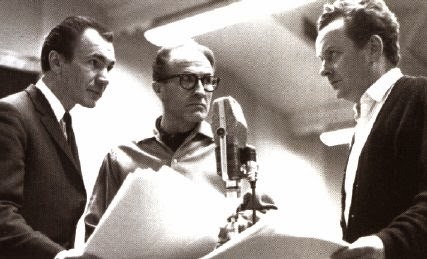 Douglas Rain (right) with fellow actors and sci-fi old acquaintances John Colicos (left) and Barry Morse (center) in a CBC Radio Recording Session (source). Colicos will star in Battlestar Galactica; Barry Morse in Space: 1999. Rain's roles in TV and in subsequent movie were more 'cameos' than real performances; he came back reluctantly for 2010 (1984, convinced by an undisclosed hefty sum of money) and, before that, had a humorous role as the 'evil' computer in Woody Allen's Sleeper (1973). 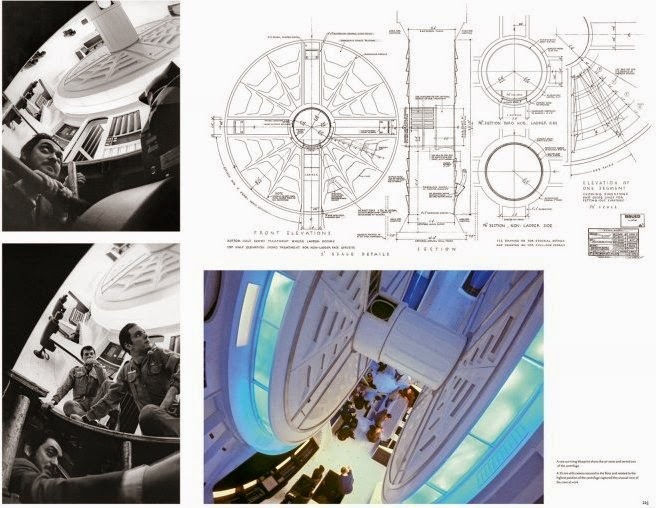 According to a set of continuity sheets I checked out in the Kubrick Archive in London (SKA/12/3/4/1), for the two close-ups seen in the pictures above Kaminsky was played by none other than Ivor Powell, publicity department liaison (uncredited) in 2001 and later producer for Ridley Scott's Alien (1979) and Blade Runner (1982). The two had met when both where collaborating on a TV commercial for the BBC; Powell went on to become a first assistant director at RSA (Ridley Scott Associates) in London's West End. UPDATE: I got in contact with Ivor Powell and he recounted me some great memories of his experience on 2001, in this article. 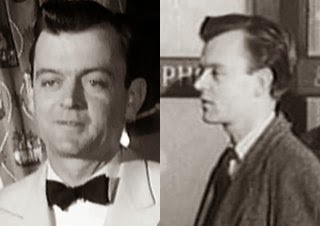 In another set of continuity sheets, though, (SKA/12/3/4/2) we learn that Kaminsky was also 'played' by Arnold Schulkes, long-time stand-in for Dirk Bogarde and 'extra' in many productions (he also appeared in Truffaut's Fahrenheit 451). 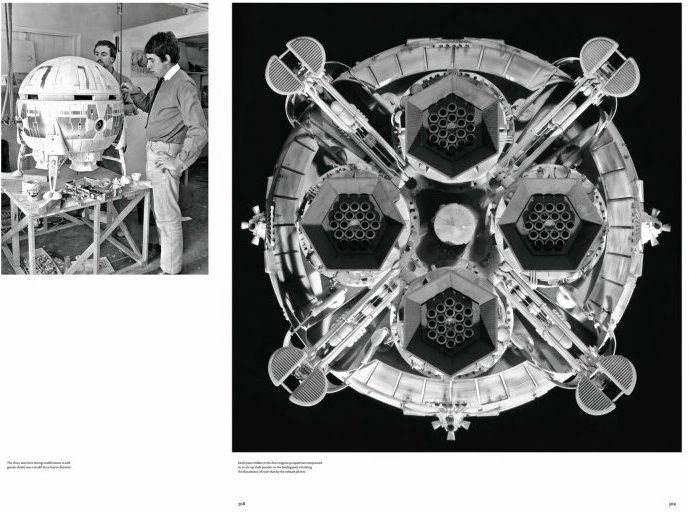 that this was done to acknowledge Ward Kimball, Walt Disney's producer/director who created that studio's Man In Space series, in which many of the hardware concepts used by Kubrick apparently originated. 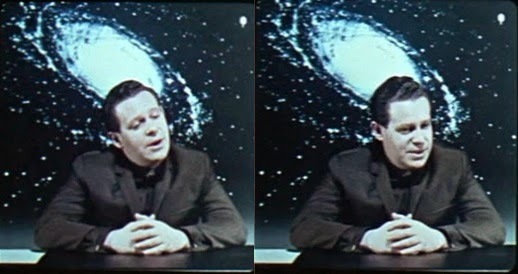 According to the first set of continuity sheets (SKA/12/3/4/1) in London, for his close-ups (shot in July 13 and 14, 1966, when the main photography for the centrifuge scene was already over) two different actors were used: Ken Hutchins (13/7) and David Baker (14/7). Ken Hutchins (born 1936) was also a cricket coach, and later did film security work. He began working as a movie extra in 1956, and last worked on the film Love Actually in 2003 (as far as I am aware). He remembered five or six hundred films he worked on. Could he be the Kimball pictured in the following blu-ray capture from the movie? According to the second set of continuity sheets, though (SKA/12/3/4/2), Kimball was also 'played' - by Kubrick's assistant director Derek Cracknell - again! 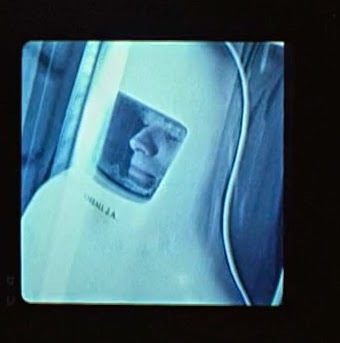 Is it him in the second picture below, captured from one of HAL's screen)? 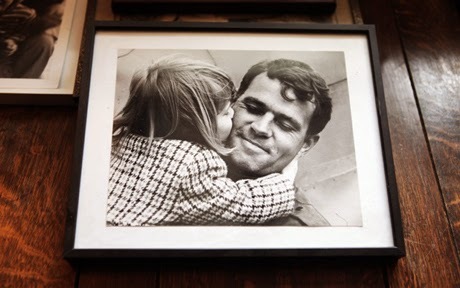 This lovely picture of Cracknell with his daughter Sarah comes from an interesting article about her that appeared on The Telegraph. According to two sets of continuity sheets (SKA/12/3/4/3 and SKA/12/3/4/2) I checked out in London, Hunter was 'played' by Arnold Schulkes, him again! and by Jon Kelley (though spelled John Kelly in the documents).